Are you looking for tips for sticking to your health goals for the New Year? If so, you are in the right place! Featured today on Theresa’s Reviews, I am sharing how I make sure that myself, my family, and any guests who we have visit can stay healthy all year long. 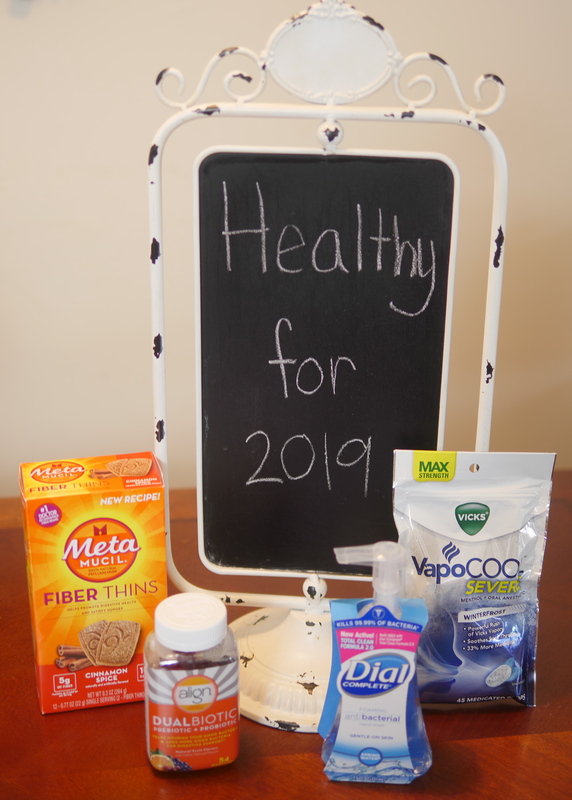 With some simple advice, you can keep your family feeling their best too by stocking your medicine cabinet with some great products from Walmart! One of the worst parts of getting sick is how much less productive it can make you! There’s no time for that. Since being more productive is one of my resolutions for 2019, Vicks VapoCool Drops are always in my medicine cabinet. They help me always feel my best! Sore throats are the worst! I always seem to get sore throats in the winter, but I can’t slow my schedule down to rest and heal. As working mom, I have to keep going even when I feel my worst. 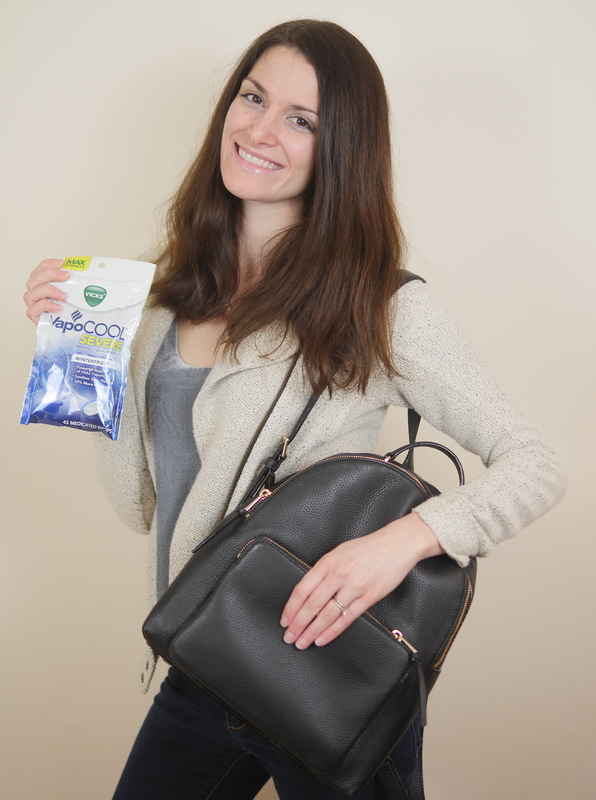 With Vicks VapoCool Drops, even the worst sore throat pain is vaporized for a quick solution. Immediately, cooling relief happens with a powerful rush of Vicks Vapors. Next, one of resolutions is to exercise more often. Unfortunately, sickness can make me much less energetic and can keep me off my feet for over a week, while also having more lasting effects that change my workout routine for even longer. Staying healthy is crucial to my exercise routine. Keeping Dial Complete Antibacterial Foaming Hand Wash in the home helps prevent sicknesses so exercise never gets forgotten. Plus, it keeps the whole family healthy! Dial Complete Antibacterial Foaming Hand Wash kills 99.99% of germs and is formulated with antibacterial ingredients. 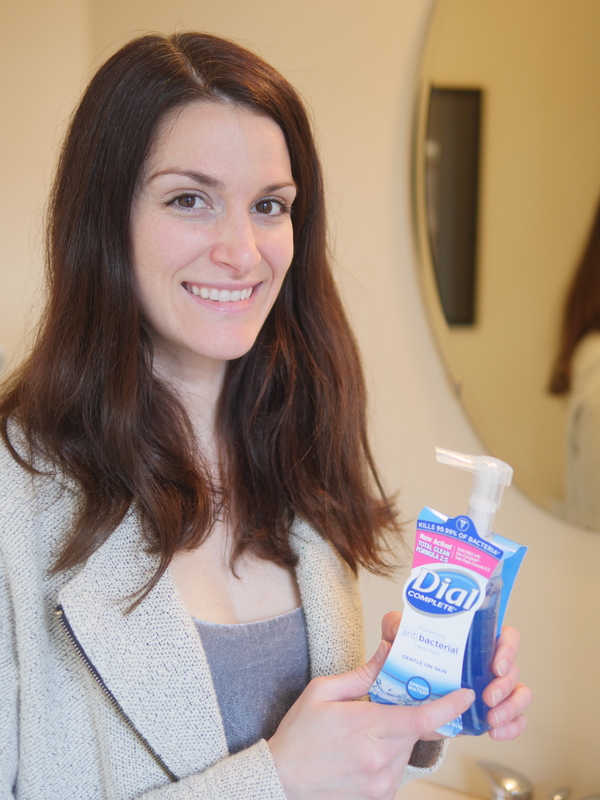 Although it’s tough on germs, it’s gentle on skin! Another resolution is to have my home looking great at all times, so keeping our guests healthy is a priority too. When people come to visit, it’s nice to have the medicine cabinet stocked with anything they might need. That way, no one has to run to the store for the medicine they forgot in their home. Even if it’s not something my family would use, having additional medicine that supports health can be useful. First, keeping Align Dualbiotic Gummy in the medicine cabinet can support a healthy gut. These great tasting, easy to chew gummies contain a prebiotic fiber, inulin, that helps nourish good bacteria in your digestive system. They are naturally flavored and contain less than 1g of sugar per gummy. Another useful product is Metamucil. 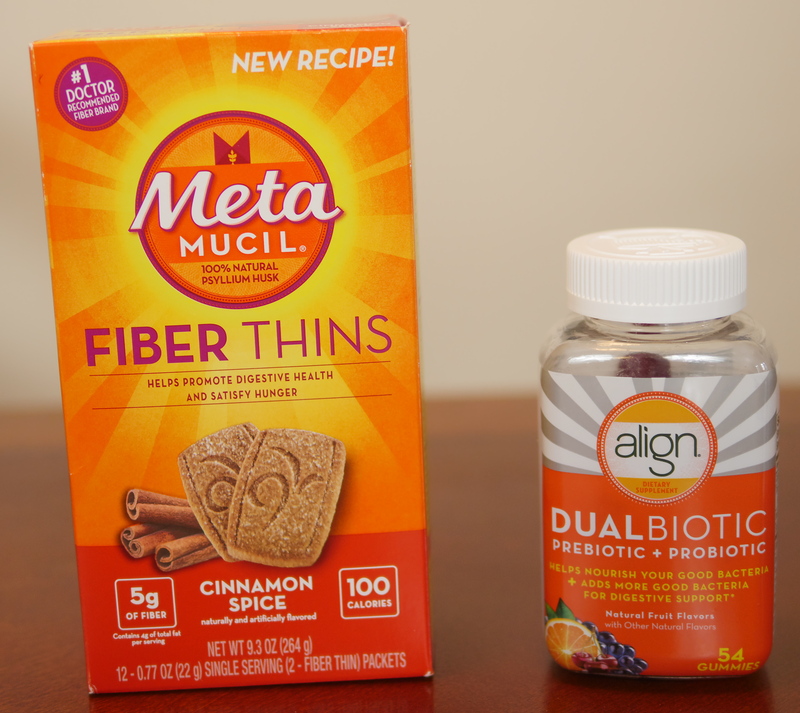 As the only leading brand that contains naturally sourced psyllium fiber that helps promote digestive health, Metamucil is sweetened with plant-based Stevia and contains natural flavors and colors. It traps and removes the waste that weighs you down so you feel lighter and less sluggish. Plus, the natural psyllium fiber in Metamucil helps curb your appetite so you feel less hungry between meals. Whether filling your home with products that promote health for you, your family, or guests, these products can help! For more health tips, follow Theresa’s Reviews on Facebook, Twitter, Instagram, Pinterest, and YouTube. Your Turn! What helps keep your family healthy? Share your tips in the comments!